Lauren is a critical human geographer currently working as a Senior Lecturer in the School of Global Urban and Social Studies. Lauren is co-leader of CUR’s Climate Change and Resilience research program, and a Senior Lecturer in the Sustainability and Urban Planning area of the School of Global, Urban and Social Studies. Further afield, she is Deputy Chair of the federal Terrestrial Ecosystem Research Network, an Associate of both the Melbourne Sustainable Society Institute (University of Melbourne), and the Institute of Livelihood and Environment (Charles Darwin University), and co-convenor of the Institute of Australian Geographers’ Hazards, Risk and Disasters study group. With a background in human geography and ecology, Lauren researches and teaches about a wide range of “environmental” issues. Subjects she coordinates and delivers include Environmental Ideas – Thought and Action (undergraduate) and Climate Change Responses (undergrad. and postrgrad.). In terms of research students, Lauren currently has seven PhD students and one Honours student. 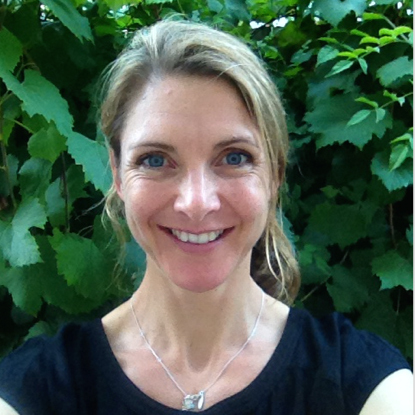 Before joining RMIT as a Senior Lecturer, Lauren was a Research Fellow at the Melbourne Sustainable Society Institute, a Senior Consultant and Associate Partner at RM Consulting Group, where she consulted mainly to government on sustainability and rural issues, and Vice-Principal of University of Melbourne academic college Janet Clark Hall. Lauren studied for a D.Phil. and MSc. at the University of Oxford, where she was a Rhodes Scholar.